For more than twenty years, Global Environmental Politics has provided an up-to-date, accurate, and unbiased introduction to the world's most pressing environmental issues. This new edition continues this tradition while covering critical new developments in the field. Through case studies on key issues such as climate change, toxic chemicals, and biodiversity loss, the authors detail the development of major environmental regimes. 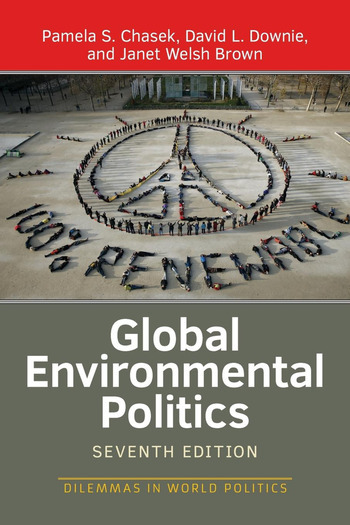 With new material on the adoption of global Sustainable Development Goals and the 2030 Agenda for Sustainable Development; the December 2015 Paris Climate Change conference; and recent meetings of major conventions on desertification, biological diversity, and more; the authors present a comprehensive overview of contemporary international environmental politics. Global Environmental Politics is vital reading for any student wishing to understand the current state of the field and to make informed decisions about which policies might best safeguard our environment for the future.